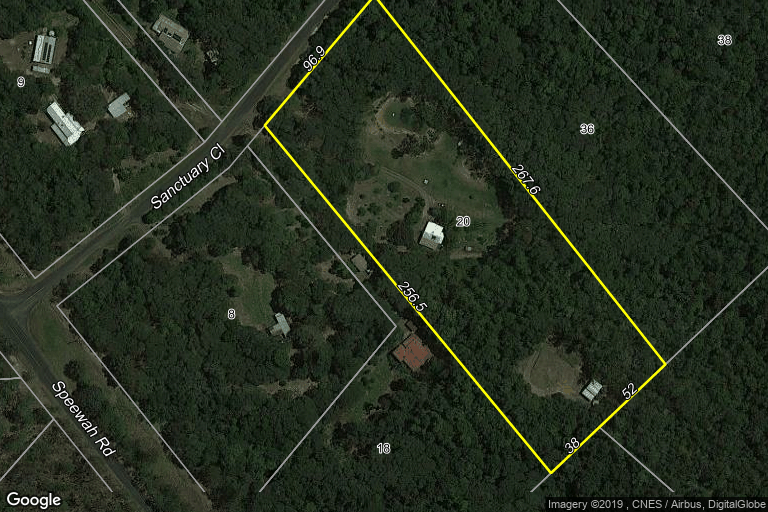 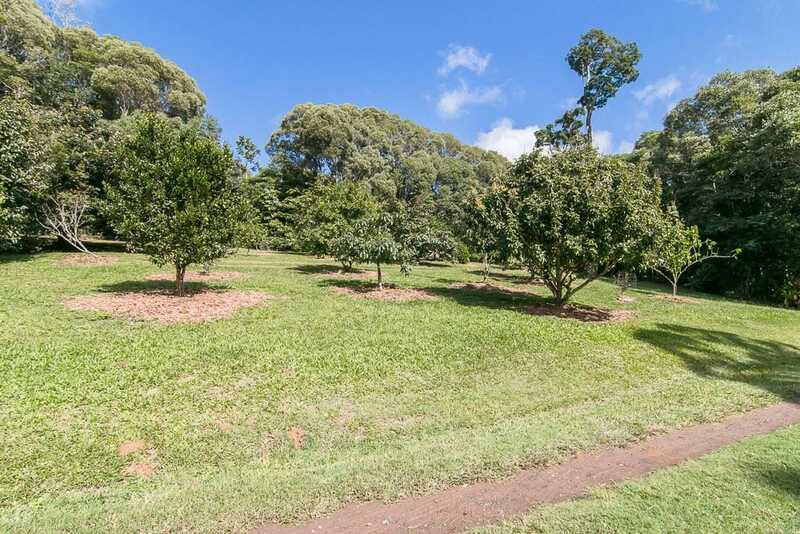 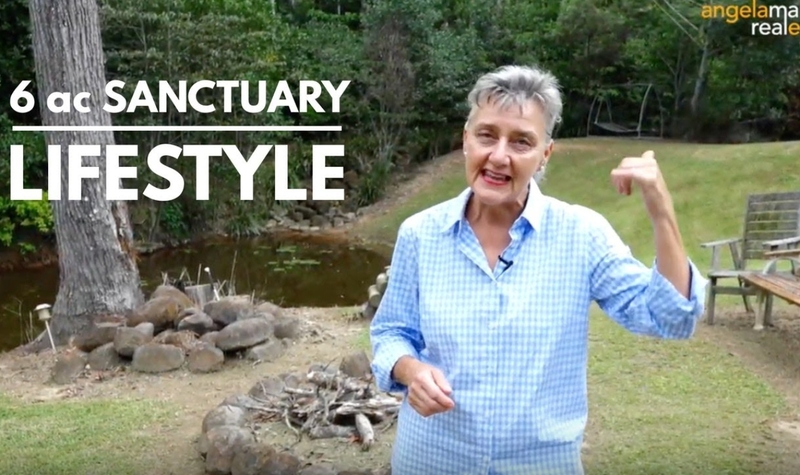 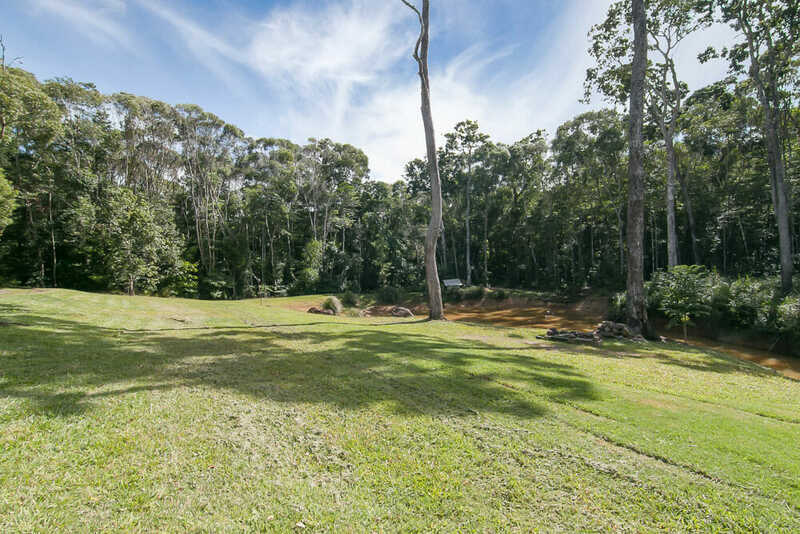 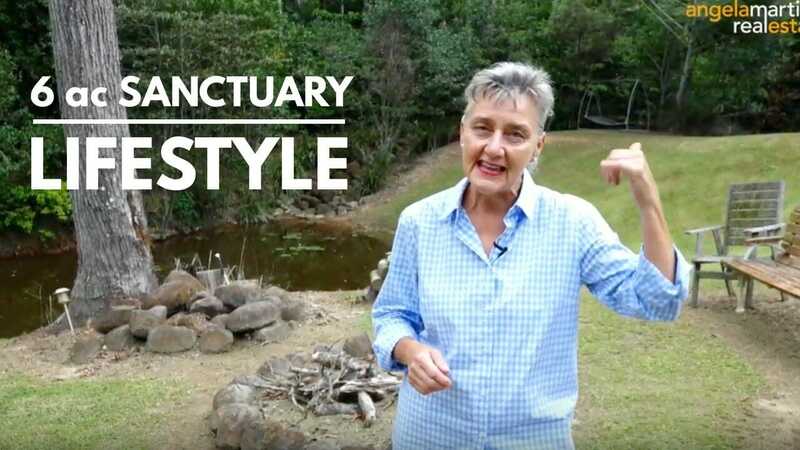 You’ve been waiting for this super affordable, lifestyle packed property with all those special little extras that are hard to find…please watch the documentary video for an intimate tour of this magnificent 6 acre property – there’s so much more information. 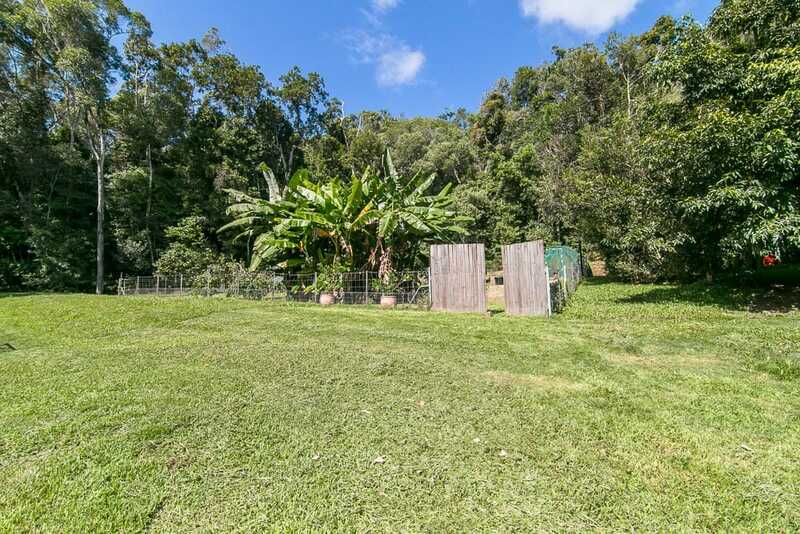 If you dream of having a lifestyle that has all the elements in place to allow you to grow veggies, fish barramundi from your own dam, eat 30 different kinds of fruit from your orchard, raise animals, yet have 100% privacy in a glorious rainforest setting….your wait is over. 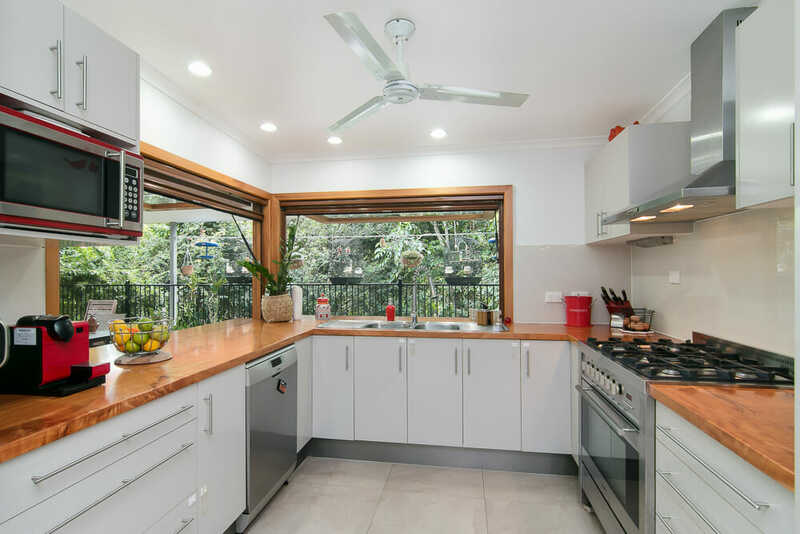 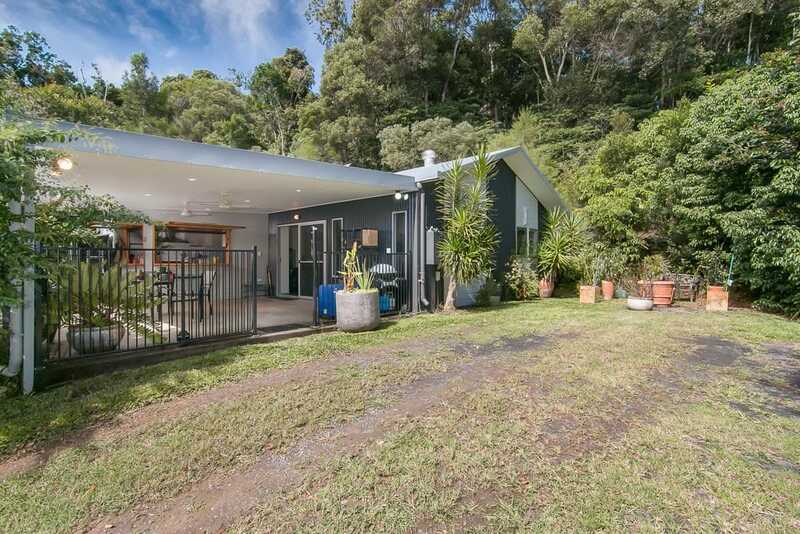 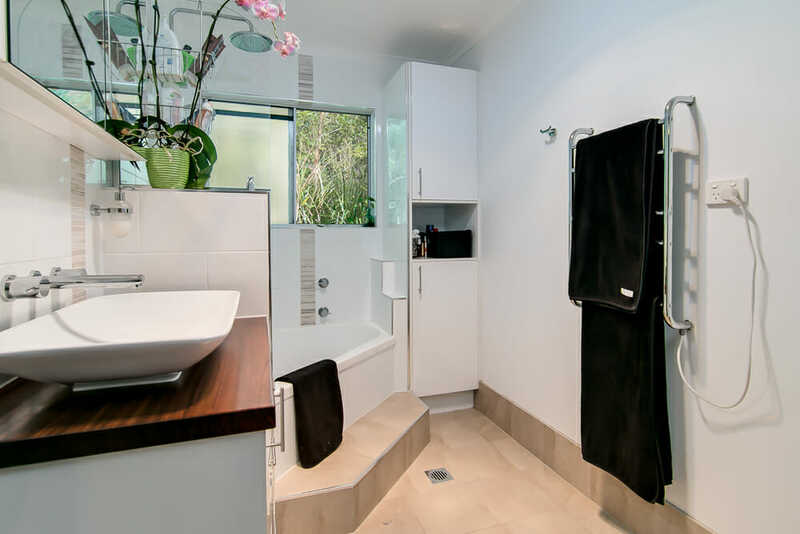 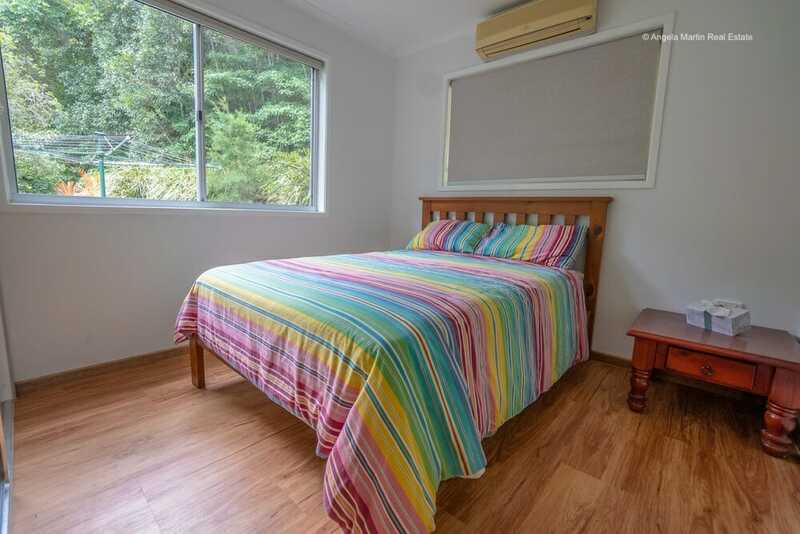 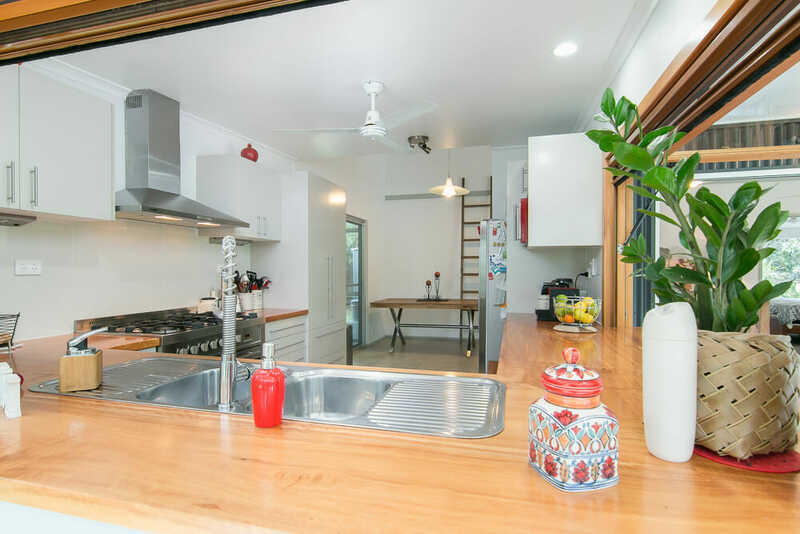 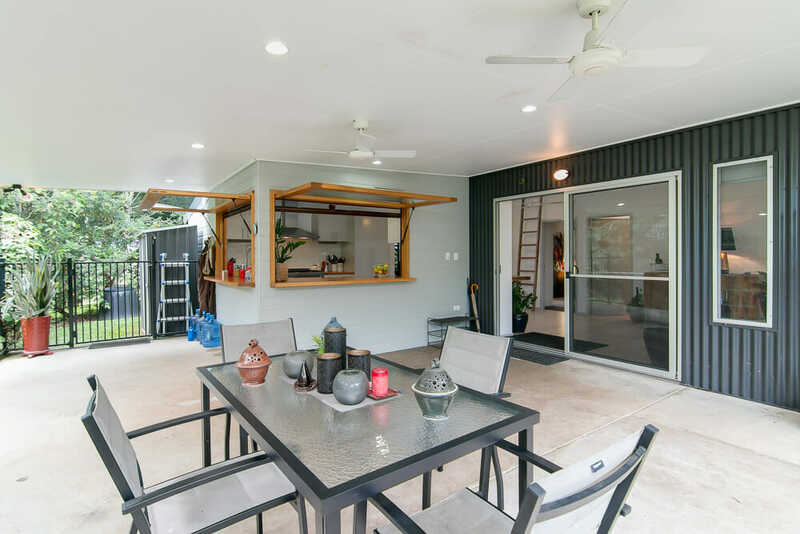 The cute 2 bedroom, 1 bathroom (steel frame) home is fully screened and beautifully modern with warm rich timber features (qld maple, black walnut and kauri pine). 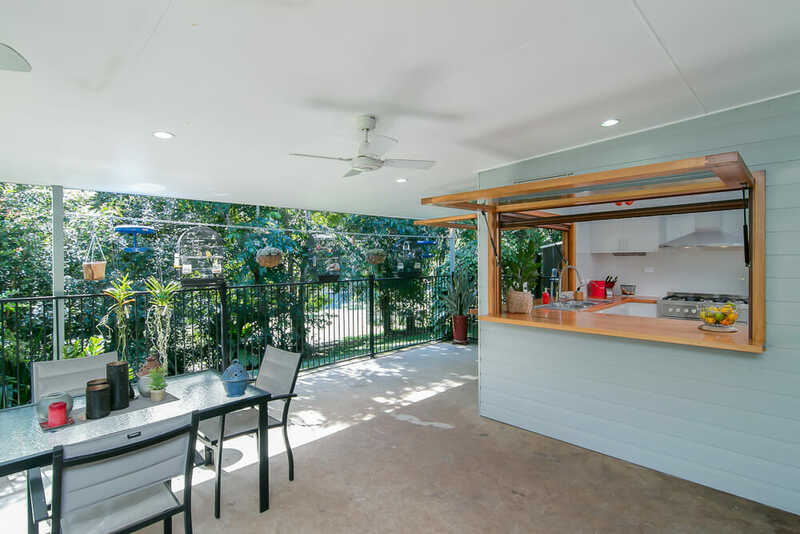 The kitchen is stunning with windows that open out onto the balcony. 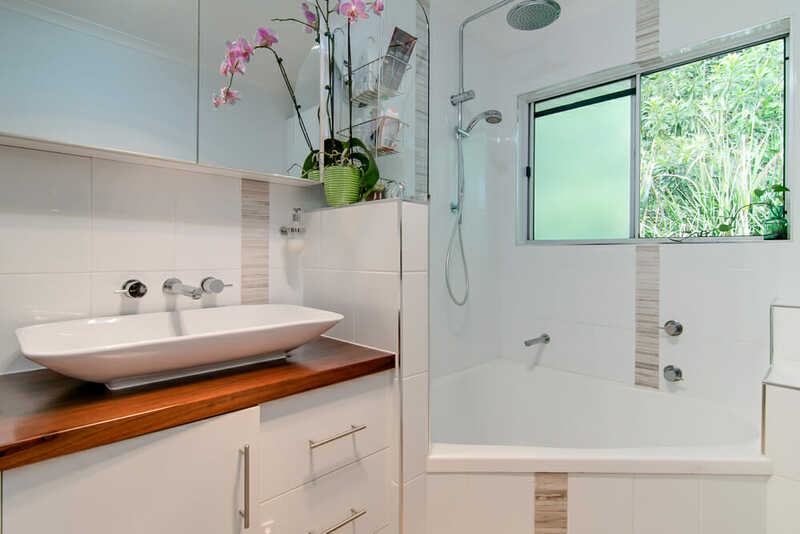 Bathroom is tiled and has a corner bath. 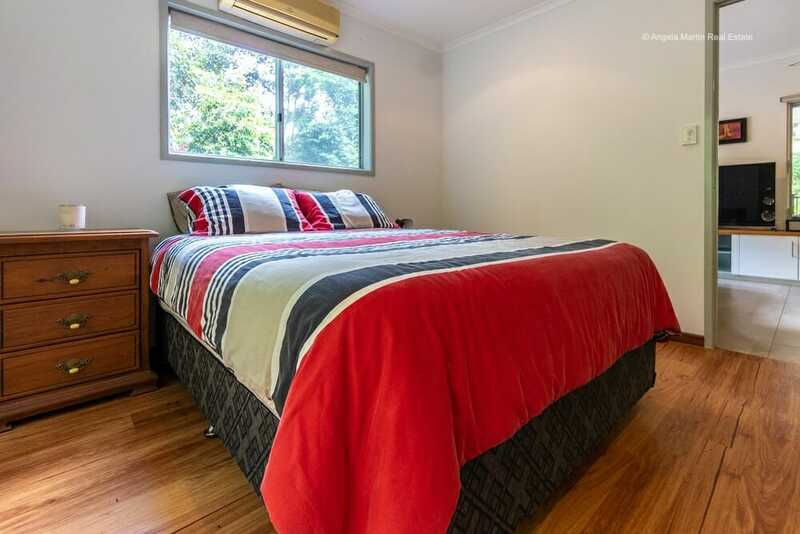 Both bedrooms have sliding robes. 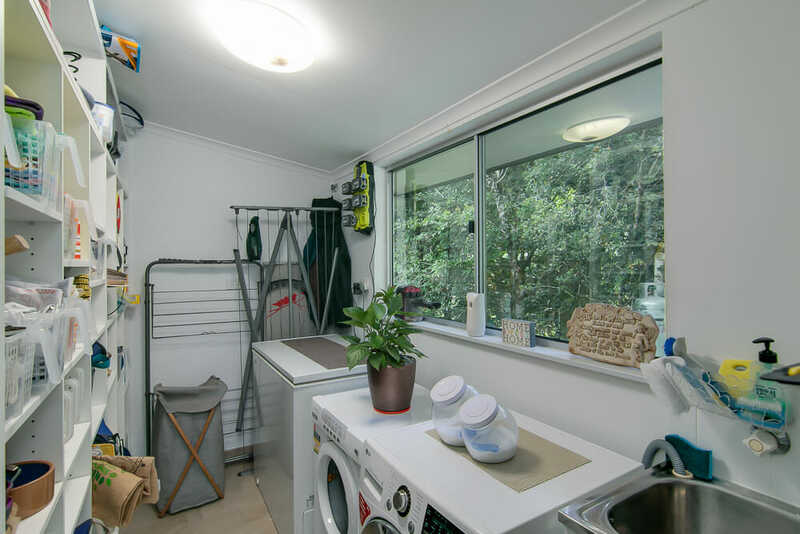 The laundry is large with lots of wall storage plus additional roof storage which runs across half the house and easily accessible. 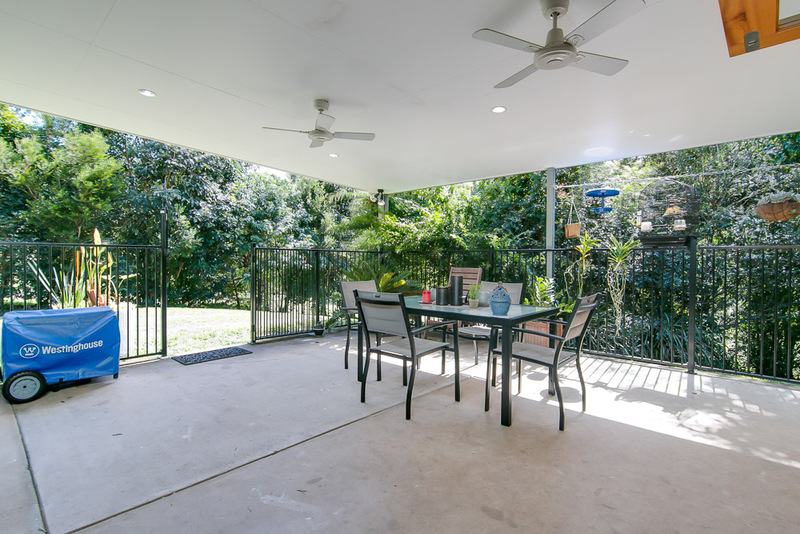 Pet friendly too with a large area perimeter underground wire for dogs. 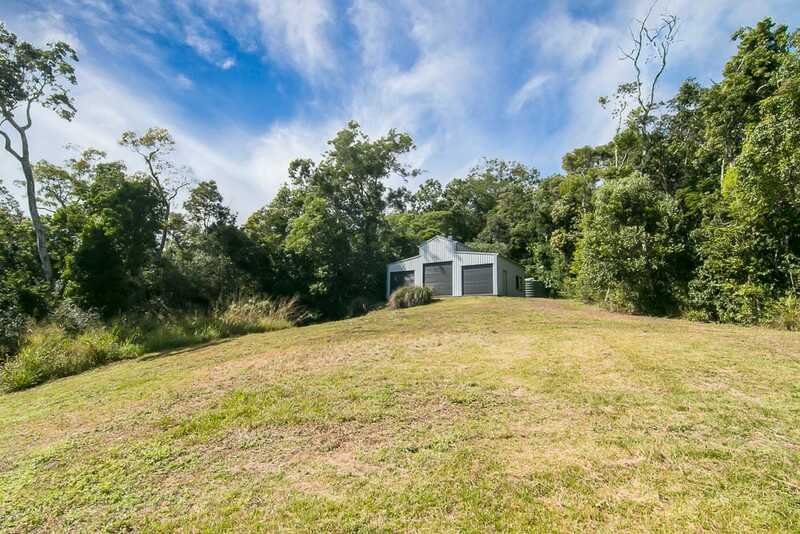 The property has solar hot water, bore water and rain water tanks (2 x 6000 & 1 x 5000 gallon) which are located behind the 3 bay american barn shed, situated on an elevated part of the property – could be your dream workshop! 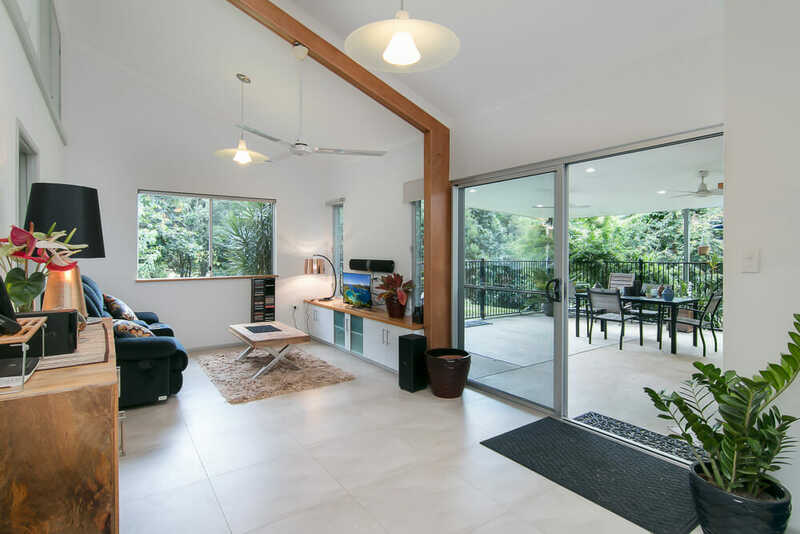 Don’t delay – give me a call today to inspect.